With increasing prevalence and high mortality, heart failure (HF) emerges as a major health problem. The heart often undergoes myocardial hypertrophy in response to increased load demand, and acute or chronic HF occurs when the heart acutely or gradually decompensates in the setting of new pathologic stresses. In addition to hypertrophy, the heart also undergoes other maladaptive modifications in response to pathogenic stresses that include altered contractility, cardiomyocyte survival, and transcriptional gene expressions. These changes are mediated, in part, by plasma membrane receptors that transduce extracellular signals to multiple complex intracellular signaling pathways that regulate cardiac gene expression. These various signaling pathways implicated in the pathophysiology of HF have been extensively studied, and genetically modified mouse models have been crucial in elucidating these pathways. 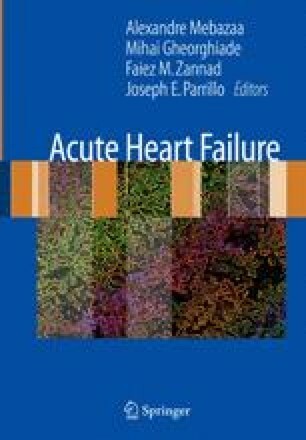 This chapter discusses the signaling mechanisms underlying cardiac hypertrophy and failure and the transgenic mouse models that have been used to study these signaling pathways, with emphasis on G-protein-coupled receptors, growth factor receptors, and the convergence of extracellular signaling pathways in intracellular and transcriptional regulation of hypertrophy and HF.